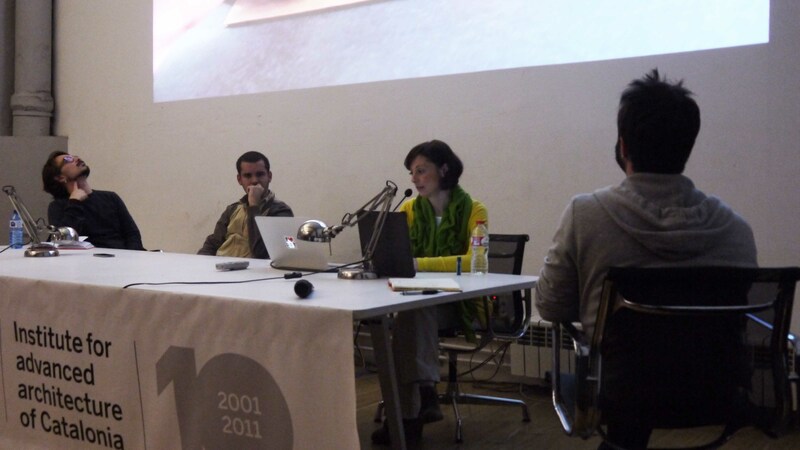 Tonight, according to the program of Lecture Series, IAAC welcomed Catarina Mota, one of the most eminent representatives of the Hacking movement. Catarina, a Global TED Fellow born in Portugal, is cofounder of Lisbon Hackerspaces network, Open Hardware Summit Co-Chair and founder of Open Materials, a project born to create a community around open, shareable and DIY materials. Catarina gave a talk and then followed a panel including Simone Cicero – collaborative production expert, blogger at meedabyte.com and OuiShare Connector in Rome – and Tomas Diez – Director of FabLab Barcelona moderated by Ben Tincq, OuiShare Co-Founder. During this session we explored all the possibilities behind DIY and collaborative production and the impacts of decentralized economy on society pillars like Education, Design and Supply chain.